Looks like there is no stopping superstar Vijay’s Mersal at the box office. Within no time, the Diwali release has crossed the 100 crore mark now. The film is still going strong in many areas of Tamil Nadu and other countries like Malaysia and Singapore. Vijay’s super craze and the manner in which he has taken on certain government reforms has become the topic of discussion. The film has already grossed 200 crores which is the highest ever for a Vijay film. 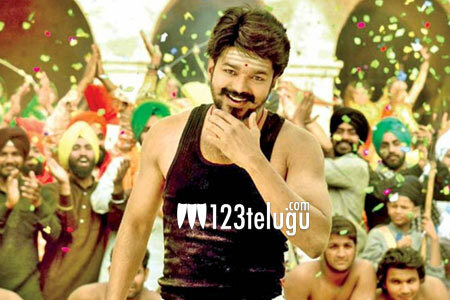 But sadly, its Telugu version is yet to complete its censor formalities and is waiting for its release date.